Honey For Acne - Effective Ways To Use Honey and Does It Help? Honey for acne? 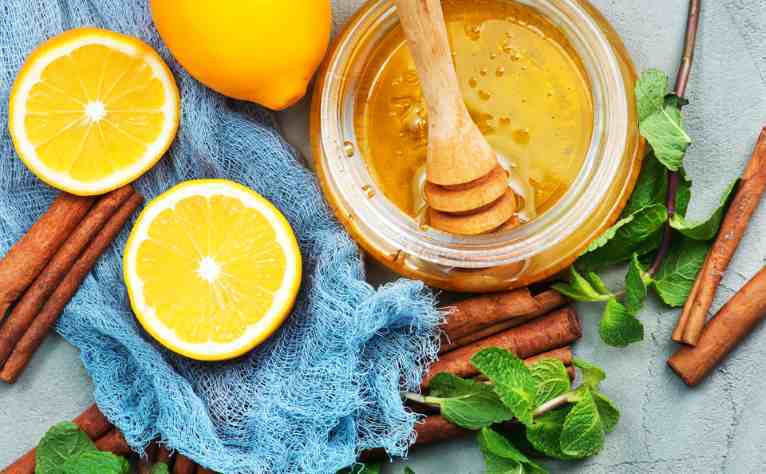 Whether you’re looking for an acne treatment without all the chemicals, or trying to find creative ways to use the everyday items in your pantry, honey may be the answer you’re looking for. Honey is antimicrobial, anti-inflammatory, antioxidant-rich, and has been used in the world of medicine for thousands of years. In addition to creating delicious honey, honeybees also help with pollination and keeping various plant species alive. All of these properties should make it an excellent acne treatment, but it’s important to note that there is not much research confirming this theory. Before using honey for acne, you’ll want to know what gives honey its healing powers, how honey affects the body, what kind of honey is most effective, and what ingredients mix well with honey to create your own DIY acne treatments. This article will cover all of this, in addition to answering some of the most frequently asked questions about using honey for acne. 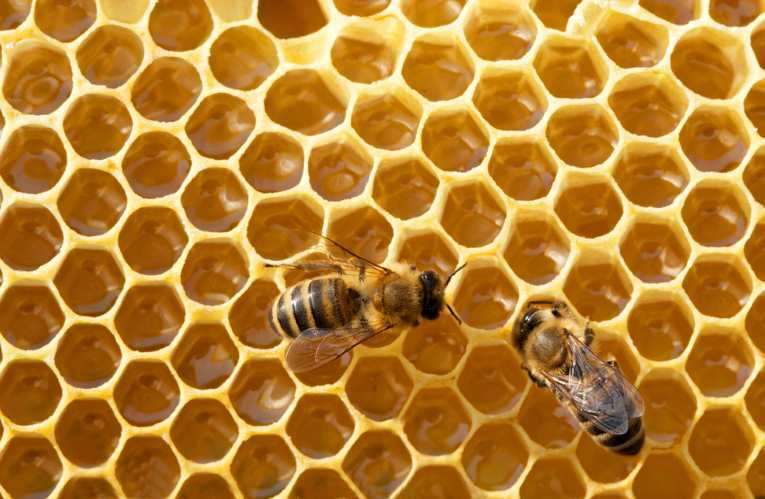 Most everyone knows that honey is made from bees, but how exactly do the bees make the honey? Bees fly from flower to flower, collecting nectar and pollen to make food for the hive. When a bee can’t carry any more, they fly back to the hive and the nectar is stored in the characteristic hexagonal cells of a honeycomb. There, the nectar is broken down into simple sugars, some of the moisture evaporates, and the nectar transforms into honey! Bees produce much more honey than they can use, around 65 pounds extra each year. Beekeepers obtain this honey by removing the honeycomb frames, scraping off the wax covering that the bees form to keep honey in its cells, and placing the frames in a centrifuge. This device spins the frames so quickly that the honey drains out of the frames, and another device collects it. Once they have the honey, beekeepers then strain it to remove any stray chunks of wax or honeycomb, and then it’s bottled. The honey is then sold at grocery stores, farmer’s markets, and other establishments. You may wonder how to tell if the honey is raw, meaning nothing has been added and nothing else was done to the honey before bottling (except maybe heating, which some beekeepers do to help strain the honey, but this doesn’t affect the honey’s taste, nutritional value, or healing properties at all). If the bottle says “pure honey” and there are no added ingredients on the label, then it is raw honey, the best honey for acne treatment. But if there are extra ingredients, like water, glucose, or fructose included on the label, then the honey has been processed and may have lost some of its most powerful qualities. Even though all honey is made more or less this way, you can end up with very different products based on one key factor: where the nectar comes from. Honey is essentially broken down, slightly dehydrated nectar, so it can make a big difference in taste, appearance, and even smell. For instance, honey made primarily from orange blossoms tends to be very light in color and may have a slight citrus smell, while honey made from wildflowers tends to be darker and smell vaguely floral. If you’ve been researching ways to use honey for acne treatment, you may have heard some buzz (see what I did there?) about something called Manuka honey. Bees start making honey, which is their food, by visiting flowers. Manuka honey is honey that’s been created primarily with the nectar of the Manuka bushes on the Eastern coast of New Zealand and some parts of Australia. Manuka bushes are also sometimes called tea tree plants, so if you are big into essential oils, you might be able to guess why people promote Manuka honey for acne treatment. Tea tree oil can be a very effective acne spot treatment, as it has strong antimicrobial properties and helps reduce inflammation. Honey is already antimicrobial and anti-inflammatory, so what makes Manuka honey special? Honey is made up of hundreds of substances, from vitamins and minerals to amino acids. One substance honey makes is hydrogen peroxide. This substance is great at fighting bacteria, and it’s what makes honey so great at fighting bacteria too. Honey also contains methylglyoxal, which has antimicrobial properties as well, but most honey contains this substance in small amounts. Manuka honey, on the other hand, can contain quite a bit of methylglyoxal, because the nectar of the Manuka bush produces something called dihydroxyacetone, which gets broken down into methylglyoxal. This makes Manuka honey even better at fighting bacteria than regular honey. Part of the reason that many people use honey for acne, even though there’s not much in the way of proof that it works, is because humans have been using honey for medicinal purposes for centuries. In Spain, there’s an 8,000 year old cave painting that depicts people harvesting honey. Out of 900 documented ancient Egyptian remedy recipes, honey was an ingredient in 500. Hippocrates, ancient Greek philosopher and scientist, prescribed honey for ailments ranging from eye diseases to scar treatment. And honey is not just an ancient medicine. 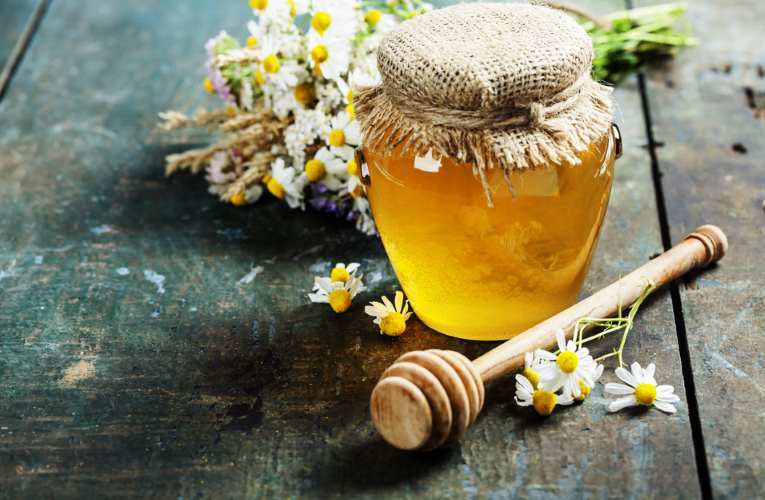 Even though Western medicine today often revolves around lab-made chemicals, honey still plays a relatively major role in how we treat some wounds, gastrointestinal conditions, and even some heart conditions. Honey is used to treat wounds because it encourages new cell growth that can speed the healing process, fights bacteria that could infect the wound, and reduces inflammation that can expend unnecessary energy, allowing the immune system to focus primarily on healing the wound. Currently, scientists aren’t sure exactly how honey accomplishes all of this, but multiple studies have found that treating wounds with honey-soaked dressings is more effective than regular dressings. Doctors have seen better wound healing results when using dressings saturated with honey. Honey is also used with gastrointestinal conditions or distress. This is primarily due to the diverse colony of bacteria that always lives in our gut. Many of these bacteria are good, they help us process our food and keep us healthy, but sometimes bad bacteria can grow and cause stomach issues. Because honey fights bacteria, it can often help even out the balance again. Cardiovascular events and disorders cause a great deal of pain and cost patients a great deal of money, but doctors think honey could help reduce risk factors for many cardiovascular conditions. Honey can lower cholesterol and blood pressure, and it’s a safe sweetener for patients with diabetes. So we keep saying that honey can fight bacteria, but how exactly does it do that? Scientists are wondering about that too, and despite doing lots of research in the last few decades, they still haven’t come up with one solid answer. There are several very likely ones though. One factor in honey’s antimicrobial nature is its high sugar content, because bacteria cannot reproduce as quickly in a sugary environment. Honey is also acidic, with a pH ranging from 3 to 4.5. Our skin is usually right around 4.5, so honey complements it nicely. Bacteria, however, struggle to reproduce in a highly acidic environment as well. Additionally, honey is evaporated nectar, meaning there’s not a lot of moisture in honey. This means it can absorb the moisture in the environment, which dries out many kinds of bacteria, preventing them from reproducing, or even killing them. Finally, honey produces hydrogen peroxide, which kills many kinds of bacteria. Some studies show that it may even kill MRSA bacteria (methicillin-resistant staphylococcus aureus), which does not usually respond to many antibiotic treatments, making it very difficult to cure. All of these factors, from hydrogen peroxide to moisture levels, could make using honey for acne a strong solution. Our skin usually benefits from acne treatments with a slightly acidic pH level, and highly inflamed acne like papules or pimples are caused by acne bacteria (p. acnes) getting stuck underneath the skin. If honey can kill those bacteria before they get trapped, you might be able to prevent a few blemishes. In the past, many dermatologists believed that acne was primarily caused by p. acnes bacteria, and treated all acne like a low-level infection. However, in recent years, studies have suggested that acne is an inflammatory condition, first and foremost. It’s still true that when bacteria get trapped under the skin, they reproduce and trigger an immune system response, which leads to inflammation, but doctors are learning that the bacteria may get trapped in the first place because of minor inflammation. Preventing this original inflammation could prevent some acne. In addition to being antimicrobial, honey is also anti-inflammatory, and unlike many other products that reduce inflammation, it doesn’t have side effects. Honey soothes the skin and signals to the immune system that it doesn’t need to produce any more swelling, without shutting down the immune system response entirely. Corticosteroids, which are often used to reduce swelling, suppress the immune system, which means it isn’t fighting an infection it’s supposed to be fighting. Honey allows your body to do its job while gently preventing any overreactions. When you combine honey’s anti-inflammatory properties with its ability to kill bacteria, it seems like honey for acne could be the perfect solution. If you’ve had acne for years, there’s a good chance you have some scarring. It can be extremely frustrating, to finally clear up your acne and still be left with blemishes on your skin. 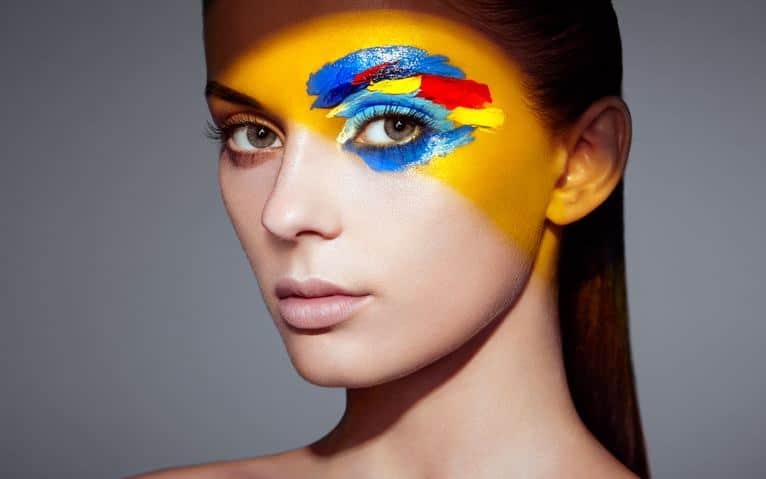 There are some products that could have prevented scarring, if you’d known about them, but there aren’t a lot that can do much for scars you already have. Honey might be the elusive answer you’re looking for. You may be able to use honey for acne scar prevention and scar reduction. This is another instance where there isn’t a ton of research supporting the idea that honey can help heal scars, but there is enough anecdotal evidence that we thought it would be worth mentioning. One way honey could prevent scars is through its wound healing properties we discussed. It promotes new cell growth, and those new cells can fill in where the wound was, rather than leaving a scar. Its anti-inflammatory properties also help with scar prevention. Inflammation occurs when your body sends extra blood to the site of an infection. This blood carries immune system agents to fight the bacteria, but it also causes swelling to prevent any more bacteria from getting in. This is usually a good thing, but too much inflammation can be painful and sustained inflammation can lead to dark scars. Honey can reduce inflammation and decrease your risk for scarring. Even though a scar is no longer a wound, honey’s wound healing properties can help reduce them. Honey encourages skin cell turnover and new cell growth, which means it helps exfoliate current skin cells and replace them with newer, healthier cells. This can help with scarring by shrinking the scar tissue while growing new, healthy cells. Although honey can help heal wounds, reduce inflammation, and increase the body’s antioxidants, all things that help with acne, there is no scientific evidence that honey actually has any effect on acne. According to a study done in 2016 on the relationship between honey and acne, researchers found no correlation between honey and improved acne. Participants who used honey combined with an antibacterial soap showed no more improvement than participants who just used antibacterial soap. That being said, there also hasn’t been a lot of research done on all of the other amazing qualities of honey. And yet, we as humanity have continued using it for at least 8,000 years. Maybe it’s nonsense, or maybe we just haven’t done enough research, but either way, if honey for acne works for you, great. If not, that’s fine too. There are great acne treatment systems out there that are well-researched if you’re looking for something more reliable, like Exposed Skincare. Unlike honey, the experts at Exposed Skincare are confident that it works—if you don’t see results within the first year of use, you get your money back. We recommend this system because it combines natural ingredients with scientific ingredients, and the result is a gentle but effective skin care treatment plan that you can supplement occasionally with honey and other fun DIY treatments. Even though using honey for acne isn’t officially research-approved, there are many uses for honey in modern medicine. We’ve already mentioned how many doctors use honey-infused dressings when treating wounds, because the honey helps speed healing more than a typical dressing, but there are other modern medical uses for honey. With antibiotic resistance on the rise, many doctors and patients alike are looking for ways to treat bacterial infections without antibiotics. Although honey is not a substitute for antibiotics when it comes to serious infections, it can be a mild treatment for a stomach bug, sore throat, or infected cut. You can apply honey directly to a cut or swallow a spoonful to soothe a sore throat, but you can also benefit from honey just by ingesting it. One tablespoon of honey in the morning and at night could help your body fight off the bacteria of a stomach bug or mild food poisoning. As a note, if this causes increased gastrointestinal distress, the honey might be killing your good bacteria along with your bad bacteria and you should stop taking it and see your doctor. Because the common cold is caused by a virus rather than bacteria, honey cannot treat it, but it can be an excellent cough suppressant. If you have an unpleasant cough, you can slowly swallow a tablespoon of honey, letting it coat your throat. Honey and Oatmeal: If you have dry or sensitive skin, you will either want to grind your oatmeal into a fine powder, or you’ll want to cook it. Oatmeal can exfoliate your skin, but raw oats are especially harsh and usually work best with oily skin types. Either way, take one teaspoon of oatmeal and one teaspoon of raw honey, and mix together. Try to stir as little as possible, because honey tends to get thinner the more you stir it, and you want it to stay on your face. Once it’s mixed, apply it to your face and wait 15 to 20 minutes. When you wash the mask off, do not use a washcloth, as that could irritate the skin; just use water and your fingertips. It might take a while, but it will be better for your skin. Honey and Lemon: We do not recommend this mask for people with dry, sensitive, or dark skin. Lemon has lightening qualities that could help reduce acne scars, but it could also create light spots on dark skin. Lemon is also very acidic and drying, making it a harsh option for dry or sensitive skin. If your skin is oily to normal and light, you’ll need one lemon-half, freshly squeezed, and one teaspoon of honey. Gently stir the mixture and apply to the skin for 15 to 20 minutes. Again, rinse off using only your fingertips. Using cinnamon and honey for acne masks can be great for dry or sensitive skin. Honey and Cinnamon: If you have dry or sensitive skin, this is the face mask for you. Cinnamon is so fine that it exfoliates very gently, and it fights bacteria rather than drying out skin. Combine one fourth teaspoon of cinnamon with one tablespoon of honey, and stir together. Apply to your face for 15 to 20 minutes, then rinse gently. I’m using honey as an acne spot treatment, and it gets kind of drippy. Can I apply the honey then put a band-aid over it? Even though honey can be a bit of a mess, it works best when it’s allowed to breathe. Generally speaking, you should not put a bandaid over any acne spot treatment, and definitely not when using honey for acne. Honey is a thick, sugary substance, and if it’s pressed tight against your skin, it could contribute to your natural skin oils and clog pores. If your honey spot treatment is a little drippy, check your bottle of honey and make sure it’s raw. Processed honey tends to be thinner and less suited for skincare, partially because it’s a pain, but also because when honey is processed, it loses a lot of its nutrients, vitamins, and other properties that help care for your skin. Are acne products with honey in them more effective? It’s definitely possible, but we’re skeptical. As we just said, processed honey doesn’t contain many of the skin-healing properties that raw honey has. That being said, Manuka honey is a stronger antimicrobial agent than regular honey, because its nectar is from the tea tree bush, which is highly antimicrobial. This may only work because of the process of the nectar turning into honey, but it’s possible that mixing other antimicrobial or anti-inflammatory substances, like tea tree oil or aloe vera, with honey for acne treatment could produce even better results. As a note, any time you try mixing powerful ingredients like essential oils or honey, make sure you test the mixture in a small area on your arm or leg to see if you have any kind of adverse reaction. You would hate to spread it all on your face and then break out in hives. For the best results, should I eat the honey or apply the honey to my acne? Both work! Ingesting honey allows it to work throughout your whole body, and you might notice your skin and hair get a little brighter. But it won’t affect your acne as directly. If you apply honey directly to your skin, you won’t see some of the other health benefits, but it will likely produce better results concerning your acne. It's been my experience that acne is an 'inside out" problem. Please pay attention to your diet. Drink mineral water and anti-oxidant teas (you can use the tea bags on your skin too). Please avoid processed foods (fast foods, packaged cheese, anything with complicated ingredient lists). I have used a product called Arbonne RE9 Skin Toner. It works very well. It's about $40 (yikes, I know), but it is gentle and contains seaweed. It made my skin look and feel EXCELLENT so I recommend it. But try the natural remedies first and see if you can save money. Good Luck. I'll be praying for you.